Budgetary constraints will continue to be the primary challenge facing the events industry in 2012 and beyond, according to C&IT's State of the Industry Report, which surveyed 60 of the UK's top event agencies and 60 corporate event planners. The report, which appears in the May print edition of C&IT and online, found that around a third (34%) of agency planners and a similar percentage of corporates said that budgets are their number one challenge for 2012. Budgets not only continue to be tight but corporate event planners are finding it increasingly hard to gain approval for events, which are now being scrutinised by senior-level management before getting sign-off, which is in turn leading to shorter lead times - a key challenge for 9% of the agencies surveyed. Event cancellations due to budget and perception issues are continuing in 2012. A third (32%) of the agencies surveyed have seen events cancelled by clients. This compares to over a half (56%) of agency respondents who experienced event cancellations for the full year in 2011. 2011 was also a busy year for pitching - 75% of the top 60 agencies that responded to the survey said there had been an increase in the number of pitches last year, compared to 2010. Meanwhile, in the top 50 agency ranking by event-based turnover for 2011, Universal World Events and Motivcom held onto the top spots, followed by George P Johnson and Jack Morton Worldwide. 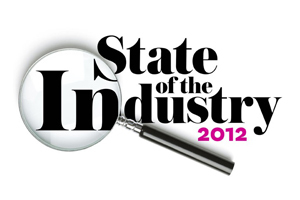 Read C&IT's State of the Industry Report is in the May issue of the magazine, or it can be accessed online.